Allspice Berry – warming, cheering, comforting, nurturing. Anise – cheering, mildly euphoric. Basil, Sweet – clarifying, uplifting, energizing, refreshing. Bergamot — uplifting, inspiring, confidence-building. Camphor, White – clarifying, energizing, purifying. Cardamom Seed – warming, comforting, alluring. Carrot Seed – replenishing, nourishing, restoring. Cassia Bark – comforting, energizing, warming. Cedar, Atlas – stabilizing, centering, strengthening. Chamomile, German – calming, relaxing, soothing. Chamomile, Roman – relaxing, calming. Chamomile, Wild – soothing, nurturing. Cinnamon Bark – comforting, warming. Cinnamon Leaf – refreshing, vitalizing. Clary Sage – centering, euphoric, visualizing. Clove Bud – warming, comforting. Coriander Seed – nurturing, supportive. Fennel, Sweet – nurturing, supportive, restorative. Frankincense – calming, visualizing, meditative. Geranium (Bourbon) – soothing, mood-lifting, balancing. Ginger – warming, strengthening, anchoring. Jasmine Absolute – calming, relaxing, sensual, romantic. Juniper Berry – supportive, restoring. Lavandin – balancing, clarifying, purifying. Lavender – balancing, soothing, normalizing, calming, relaxing, healing. Lemon – uplifting, refreshing, cheering. Lemon Eucalyptus – purifying, invigorating. Marjoram, Sweet – warming, balancing. Marjoram, Wild – purifying, clarifying. Myrrh – centering, visualizing, meditative. Neroli – calming, soothing, sensual. Nutmeg – rejuvenating, uplifting, energizing. Orange, Mandarin – uplifting, cheering, sensual. Orange, Sweet – cheering, refreshing, uplifting. Oregano – invigorating, purifying and uplifting. Patchouli – romantic, soothing, sensual. Peppermint – vitalizing, refreshing, cooling. Peru Balsam – anchoring, strengthening. Rose Absolute – romantic, uplifting. Rose Otto – romantic, supportive, gently uplifting. Rosewood – gently strengthening, calming. Sandalwood – relaxing, centering, sensual. Spearmint – refreshing, cooling, vitalizing. 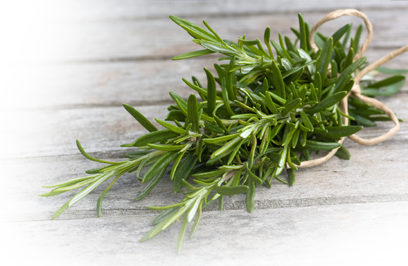 Tea Tree – cleansing, purifying, uplifting. Thyme, Red – cleansing, purifying, energizing. Thyme, White – cleansing, purifying, energizing. Vanilla – calming, comforting, balancing. Wintergreen – refreshing, bracing, invigorating. Ylang Ylang Extra – sensual, euphoric.